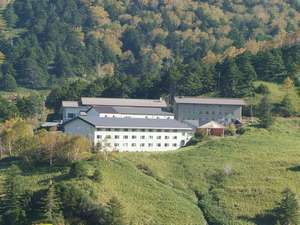 Konoha opened in July 2010 on a hill overlooking the Kusatsu Hot Spring Resort. 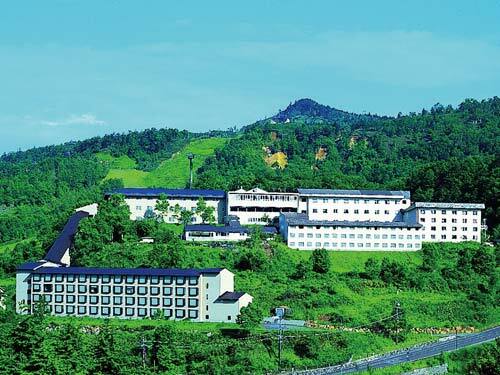 It is a cozy hotel excellent for long stays relaxing and healing in the hot spring baths. Guests can also bathe at the Adjacent hotel "Tokinoniwa." 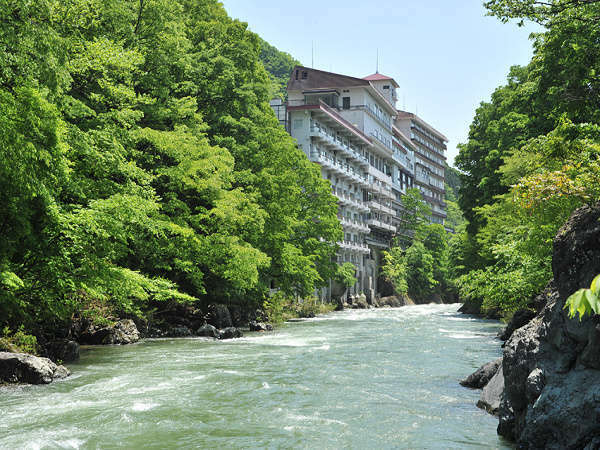 Hotel Sakurai is located high above Kusatsu Onsen hot spring resort and has 179 rooms in total. The hotel also offers entertainment every night such as a Yumomi-show and/or Japanese Drum performance. Tokinoniwa opened in July 2010 on a hill overlooking the Kusatsu Hot Spring Resort. 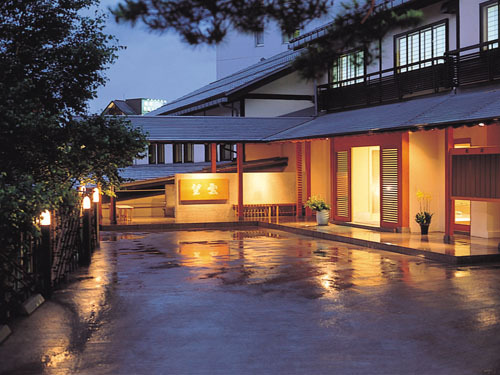 The hotel is floored entirely with Tatami mats and features 2 main baths, 3 private baths and open-air baths in all rooms. Hotel Ichii is a long established Japanese-style hotel founded 300 years ago, and located at the center of Kusatsu hot spring resort. 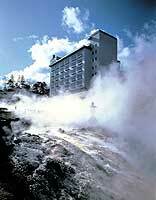 The hotel is the closest to the Yubatake, the hot spring source of Kusatsu. 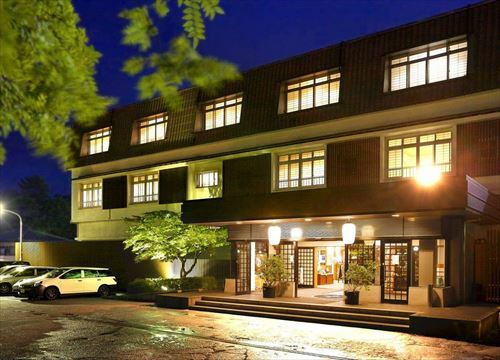 Hotel Kogure is the long-established hotel which is located in Ikaho Hot Spring Resort which is loved by many men of culture. Please soak in the luxury observation mainbath and enjoy at the Garden open-air bath to relax and spend the lavish time calmly. 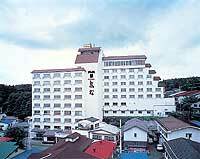 Fukuichi is the Japanese-style hotel which boasts the tradition for 400 years and the modern facilities. It stands on the top of Ishidan-gai (Stone Stair Town) in the halfway up of Mt. Haruna and provides the wonderful view and quiet atmosphere. 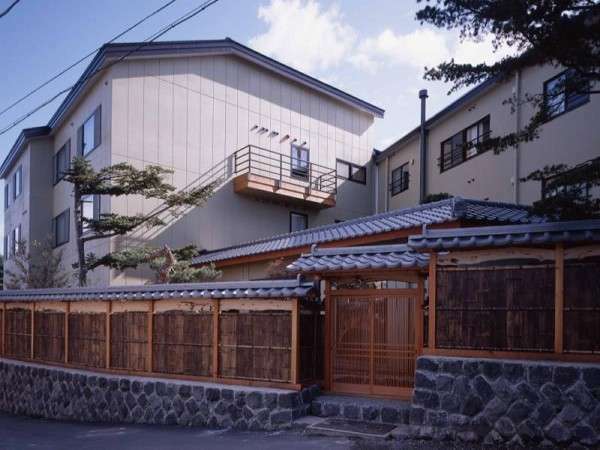 This is a long established ryokan located in front of the "Yubatake" (the largest hot spring in the Kusatsu onsen resort) and capable of accommodating up to 500 guests. Matsunoi has large 33000 sq. m. Japanese garden and renovated in July 2007. Hotel has 2 main baths, 4 open-air baths, 2 private baths, 2 Saunas, 2 relaxation rooms, 4 Karaoke boxes, esthetic clinic and fireplace. Minakamikan is located at Minakami valley along the River Tone and Mt Tanigawa is commanded from guest room. The motto of this modern Japanese-style ryokan is mind of flower, mind of harmony, cleanness, safety and smile. Mukashigokoro no Yado Kanemidori is located at the center of Kusatsu Onsen and 5 minutes walk to "Yubatake", the symbol of Kusatsu. Japanese seasonal cuisine called kaiseki ryori is prepared. 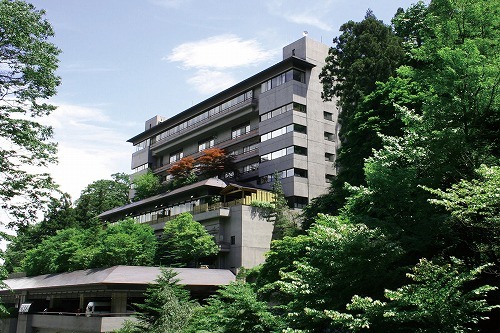 Hotel Matsumotoro is well known for its two sources of hot springs, Koganeno-yu and Shiroganeno-yu. This facility provides satisfactory relaxation with the magnificent views of mountains from the rooms and the peaceful atmosphere in rich nature. 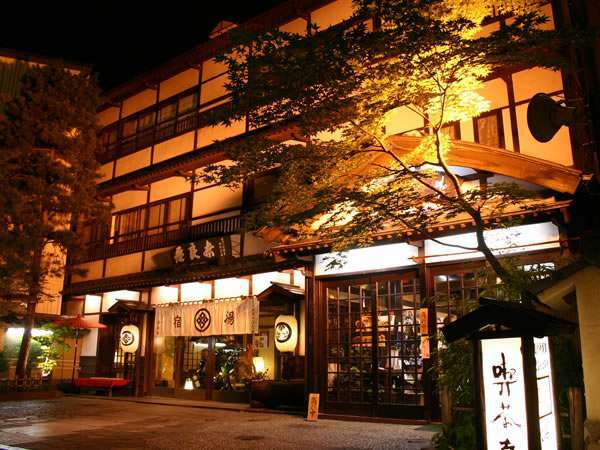 Osakaya Ryokan is located in the old streets near Yubatake, the center of Kusatsu. This is where the traditional architectural style of this region is situated. The rooms are a comfortable Sukiya-style using pine wood which overlooks the garden. 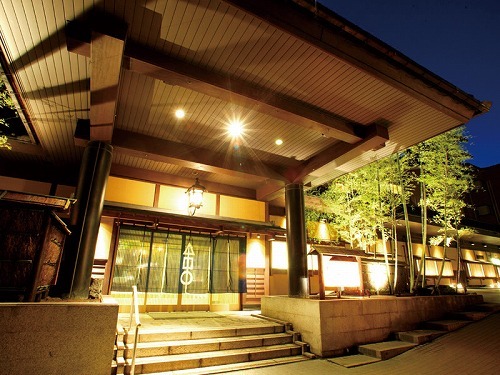 Naraya is a Japanese style ryokan located in the Joushinetsu Highlands National Park at an altitude of 1,200 meters and situated next to the Yubatake hot spring in the center of the renowned Kusatsu hot spring resort. 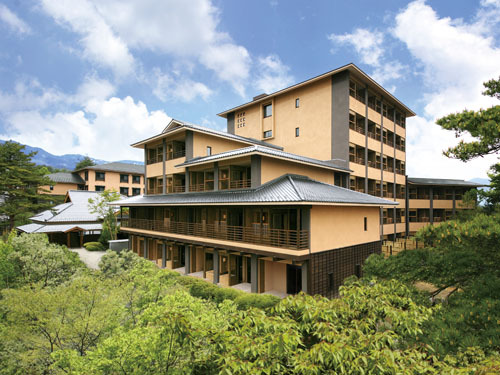 Kusatsu Onsen Hotel Resort is situated on a hill at 1200m above sea level and offers views of Kusatsu. The rooms offered are both purely Japanese style and Western style. The food served uses fresh and seasonal mountain ingredients. 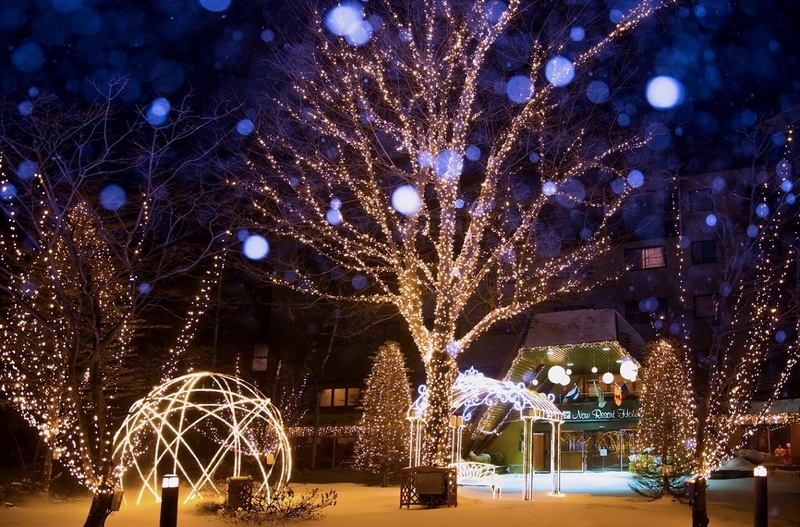 otel Village is a hot spring resort hotel nestled in the vast woods surrounding Kusatsu. 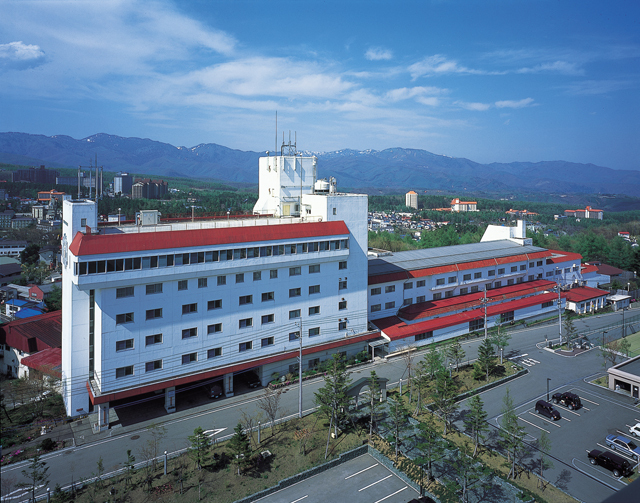 It boasts a variety of natural hot spring baths including large communal baths and open-air baths. The hotel is equipped with recreational facilities. Kusatsu Now Resort Hotel is a European-style hot spring resort hotel located at an elevation of 1,200 meters and nestled amidst the quiet forests of Japanese birch and larch trees. The main bathing area includes a wide variety of indoor and outdoor baths. 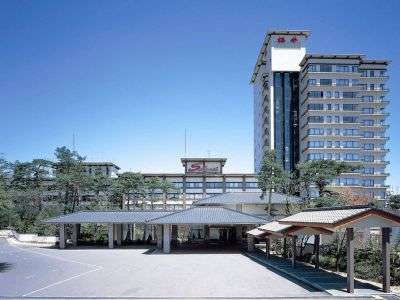 Hotel Spax Kusatsu is located on a hill in front of Sainokawara Park west of Kusatsu hot springs resort. 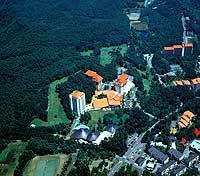 It is 8 minutes walk to Yubatake, which is known as Kusatsu resort's main source of hot spring water. Based on the concept of an old, traditional inn, we outfitted the inn with everything our guests may need. We strive to provide cozy atmosphere and services. 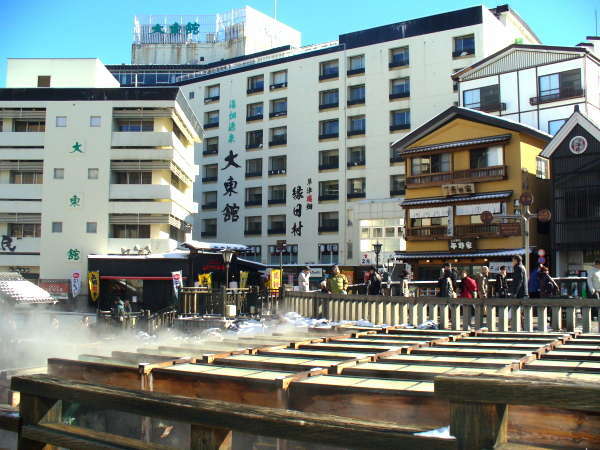 Come and relax in the gold hot spring of Ikaho. 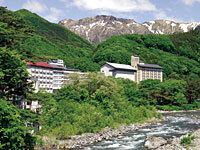 Shima Grand Hotel is located in Joshinetsu Kogen National Park and surrounded by mountains. 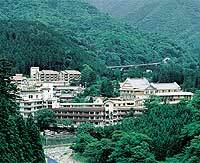 Shima Onsen has a long history and the good human nature and emotion have been transmitted till today, but the modern facilities are loved by the travelers today. Manza Hotel Juraku is located at 1800 meters above sea level and surrounded by beautiful natural alpine plants and primeval forest. The open-air bath is like floating in a sea of clouds to direct to another world. 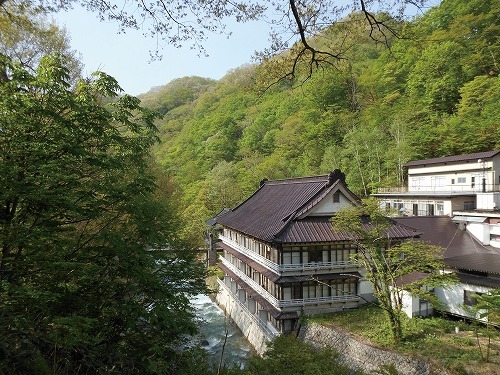 Hotel Boun is a quiet Japanese style hotel (ryokan) situated on high ground with views of Mt. Shirane, and boast scopious volumes of hot spring water at its open-air bath and a beautiful rhododendron garden. Shima Yamaguchikan is surrounded by beautiful mountains and located by the clear stream Shima River. It is a Japanese-style hotel and has 3 types of baths including main bath, open-air bath and private bath enjoyed by families.